A sales training plan makes things easier. Just like setting out a map for any endeavor, whether it’s a trip to the coast or a jaunt up Snowdon. A plan means you hit the points you want, when you want, and in the style you want. That’s why I always insist on agreeing the following 8 things in my sales plan. Sales Training Plan 1 : Where is the team starting from? For this you’ll need a good Training Needs Analysis, listen into a good selection of calls, some accompanies sales visits, one on one interviews with the sales teams to see the difference between what they know and what they do. The skill in this section is understanding where the sales person is on their journey. 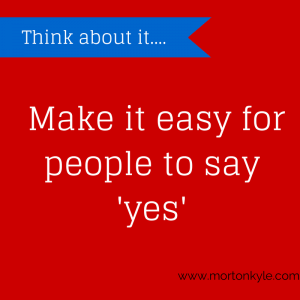 Does the sales person have a working sales process? Is it fully formed or still in the build phase? How are they developing it? Do they understand why they win some sales and lose others? What level of self awareness do they have? Can they realistically self-reflect, critique and learn to amend? This is also an opportunity to let the team dictate the building blocks of the course, it’s delivery format and where they will get the most value from the sales training. Sales Training Plan 2 : Where are the sales road blocks? This means a deep dive into the sales CRM, sales forecasts versus order books and the sales pipeline. Deals are getting stuck…but where? Where is the sales CRM bulging? What’s the sales process and where are the sales metrics in that sales process? What are the sales metrics from the last 6 months? What information is coming back from lost sales analysis? Why do current customers buy? Sales Training Plan 3 : Does everyone in the sales team need the same training? Can you see any trends? Maybe attached to regions, channels, time served, line manager? This requires a review of the sales conversion rates, individual close rates, team close rates, channel and team close rates. The same with average order values, discount levels, turnover, margins and number of customers, sales cycle duration and product sales levels. You might also want yo include appointments set, leads generated, cancellation rate of booked appoitments, percentage use of diary selling time. Using this it’s easier to see who needs what in terms of sales training and from there draw up a list of the most needed sales training based on the biggest positive change in the shortest possible time. It also gives a foundation to how to measure the improvements as a result of any sales training. Plus, in this section, you’ll need to agree the format of the training, and the follow up. Sales Training Plan 4 : Who will own the training to ensure it’s embedded in the business post delivery? Help others understand that good sales training is not a one hit event. Who is the internal owner and sales training champion? How will the sales training be embedded and defaulted to? In what way will it be supported and measured? How will its usage be audited? Sales Training Plan 5 : What are the key numbers that need to change? And what are those numbers now? Whether you’re talking about boosting the average order value, increasing margin by 10%, reducing discount by 90%, building market share by 15%, increasing sales conversion rate by 9%, reducing cancellation rates by 60%, shortening sales cycles by 70%…whatever the key numbers are, or combination of numbers are, you need fine detail. What are those numbers now? What do you want those numbers to be? Get agreement with all owners and parties on these hard measures. In this section beware of numbers conflicting – for example shortening sales cycle could be a valid target, however if the average order value increases, this may naturally wipe out any incremental shortening of sales cycles so try to look at any matrix based outcomes in the round and manage expectations accordingly. Getting the attendees to sign of on the content. You might want to do this as a focus group, or a one on one event or even as a survey monkey exercise, maybe even anonymous. This helps buy in and build curiosity. The recipients of your sales training course are the final customers. High buy in means sticky sales training that works, the business wins. Low buy in, everyone’s miserable, and nothing changes. Sales Training Plan 7 : What’s the launch look like? This is not just a sales training plan to support the creation and delivery of first class sales training. This is a culture changing event. You’ll help processes become realigned with thinking. You’ll build bridges, stake holders and shareholders needs will be drawn together. So, get the champions involved in the build up. Is the location fitting enough for the level of importance of the training? Who is attending and giving their support? Are they participating or simply working in the room? The smallest things knock the message. Get the launch right. You can build and engagement and excitement pre-event. You should draw a line in the sand in terms of pre sales training and post sales training, the old versus the new. Sales Training Plan 8 : Enjoy the day! Of course, everyone is there to learn. Everyone attendee wants to discover new ways of doing business and improving sales. People who are engaged in real world sales problems, well, they become informed and because they’re stretched they learn more. They remember more because they’ve attached emotion to their learning. Attendees having fun are more likely to take the skills and the knowledge back to the work place! Conveying ownership and accountability is critical to the success of any sales training and your sales training plan will accommodate this, just don’t forget the fun! If you’re looking to increase the sales results in your business, and think proactive, high impact B2B sales training is one way to do this, call us for a confidential chat. I’d be happy to share how we’ve helped others to make lasting change in their business and sales function. You can also check out feedback from some of our past clients here – Client Feedback or just hit the Client View Tab at the top of this page. 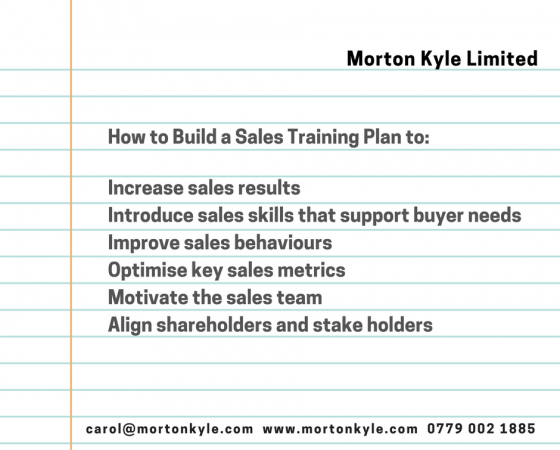 Your sales plan is the very start of your sales training journey, and your sales training will benefit hugely from having a granular level sales plan to drive the specific sales changes you want. 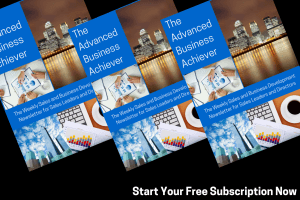 This entry was posted in Blog, Sales Training, Selling and tagged Account Based Selling, B2B Sales Training, Sales Goals, Sales Training, Sales Training Plan, Solution Sales, Training Needs Analysis. Bookmark the permalink.